A Dutch coffee-shop special, prized for it’s elevated CBD levels, courtesy of it’s Skunk #1 and Mazar parentage. 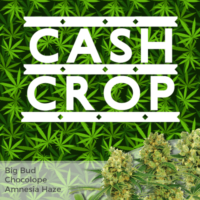 A very versatile strain that grows well both indoors and outside, needing little care or experience to produce a high quality crop. 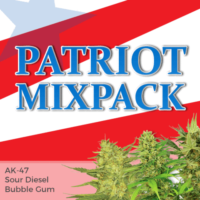 Its natural immunity to many mites and bugs makes it a favorite for outdoor and ‘guerrilla’ growers, with the feminized seeds guaranteed to produce female-only plants. With flowering requiring between 9 – 10 weeks, LSD isn’t the quickest maturing plant, however, its easy growing nature and ability to grow both indoors and outside makes it a favorite for many growers and smokers. With little knowledge or effort, potent harvests of sweet skunk buds can easily be cultivated. Producing a long-lasting and positively charged, energizing high, it’s often prescribed for sufferers of pain, migraines, PMS and cramps, and so favored by men and women equally. Our recommended feminized LSD seeds produce some of the highest quality plants, with all purchases enjoying free and guaranteed delivery. 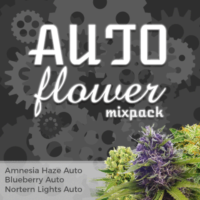 Easy to grow and capable of generating very potent buds, they are the perfect choice for growers of all levels of experience, indoors and outside. WHY CHOOSE MARIJUANA SEEDS USA? 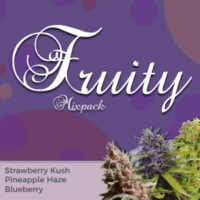 Potent and easy to grow, producing large harvests with an energizing high. LSD comprises of 55% dominant Sativa and 45% Indica genes, producing a perfectly balanced hybrid with a euphoric high and powerful ‘body-buzz’. If height is an issue, LSD is a great choice, remaining short and squat through to maturity. However, it’s dense buds and close lateral branches generate a healthy harvest of approximately 400 grams per square meter, slightly more, around 500 grams per square meter when grown outdoors. THC levels of approximately 24%, and a CBD content of up to 0.5%, LSD is a favorite in many medical dispensaries. If you follow the germination instructions exactly and your cannabis seeds do not germinate, then they will be replaced for free. If less then 50% do not germinate, I love growing marijuana will replace double those seeds in your next order. If more then 50% do not germinate, free replacement seeds will be send right away. NOTICE: You may be asked to send back the ungerminated cannabis seeds.